There’s so much to do in Paris. Did you really think that you had seen everything, just because you saw its Eiffel Tower and its no less famous ‘Notre-Dame-de-Paris’ ? Did you only see its incredible castles ? Here are six of them that you really should visit next time ! Through the King’s grand apartments, you can discover a décor that is beyond imagining. The Galerie des Glaces and its thousand mirrors is a true enchantment. The grand perspective extends from the central windows leading yourgaze from the ‘parterre d’Eau’ towards the horizon. An invitation to stroll through the gardens designed by Le Nôtre. This immense area hosts the ‘Grandes Eaux Musicales’. You can complete your tour with a visit to Marie-Antoinette’s domain, a relaxing refuge where nature and refinement corne together. At only 30 minutes from Paris, in the heart of the village where Vincent van Gogh once lived, the château invites you on an unforgettable ‘Voyage au temps des Impressionnistes’: Toulouse-Lautrec. Monet, Degas, Renoir… Over 500 works of art are highlighted along this multimedia trip. Combining special effects,wide screen projections.vintage photographs and films, décors and musical backgrounds,you will discover the different aspects of the ‘vie parisienne’ at the end of the 19th century. ‘The true home of kings’, this is how Napoleon Bonaparte described the château which was the home to many prestigious hosts for 8 centuries, from François 1er to Louis XV or Louis XVI. Embellished over the centuries, this centrepiece of French history was listed as a Unesco World Heritage site in 1981. The tour of the ‘Grands Appartements’. museums, and galleries invites you on a journey to discover the life of the French royalty. To complete your visit, why not take a stroll through the 10 hectares of parks and gardens ? 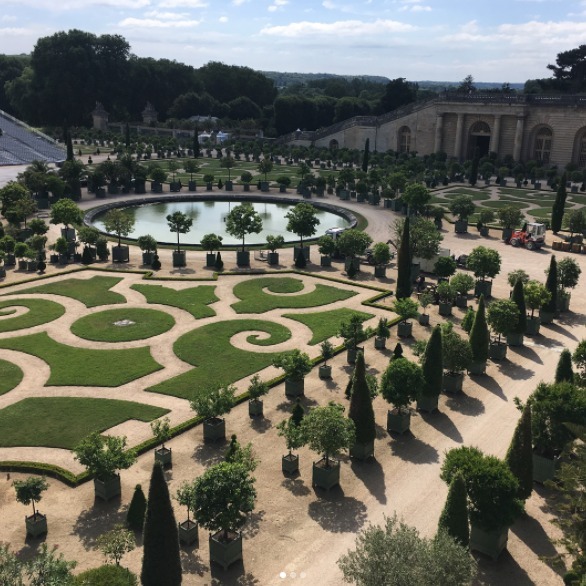 Dazzled by the French gardens designed by Le Nôtre and the luxury of this jewel of architecture built for Nicolas Fouquet, his finance minister, the Sun King used it as the inspiration forVersailles. You can discover the 35 hectare park on foot or ride a little electric car. In summer; experience the wonderment of royal parties to the sound of classical music,lit by the thousands of candles arranged all around the château. Children will love the treasure hunts and riddles organised all year round. In 1968, Count Paul de la Panouse opened his château to the public and decided to create a safari park, a modern day Noah’s Ark. You will be able to watch wildlife at large from your coach. Don’t forget to check out the small animal ark which, as its name suggests, houses smaller animals, some of which have exotic names such as: the golden mantella… Not to mention a visit to the château and its magniﬁcent tapestries and furniture.